Certain literary titles make for appealing and memorable books. War and Peace, for one. Of course, there is more to books than titles, but same as with meeting someone, the first impression counts. Book titles taken from literature speak to curiosity. Faulkner’s Absalom! Absalom! taken from the Books of Samuel. Another, and more recent, P.D. James’ The Skull Beneath the Skin, taken from T.S. Eliot’s Whispers of Immortality. Of course, if the books were no good, this would be nothing more than cocktail trivia. Well-conceived titles entice the reader, at the very least, to pick up the book, wouldn’t you say? The lyricism in A Midsummer Night’s Dream, for example. The cool sound of Dr. Seuss’ One Fish Two Fish Red Fish Blue Fish. How about Edward Albee’s Who’s Afraid of Virginia Woolf? Some publishing houses have strict formulas for titles, no matter the author’s grand idea, looking for short declarative phrases, like Run Fast or Hold Tight. Imagine the titles mentioned above under such rules. On the other hand, I have yet to meet the reader who set a book down based on dislike for the title. My title decision for Stranger or Friend was pretty immediate. The OR in the middle fell under Literature Is the Question Minus the Answer. While the mystery was solved, I hope the story remained an expression of the pursuit of the answer. So, April is over. We’ve written, we’ve read, we’ve laughed (we’ve also cried while reading … no? okay just me then) and now it’s time to step back and reflect. How are you feeling? Still recovering, perhaps. Still a little tired, or a lot. Let’s be honest, while fun, blogging daily can be exhausting. I wrote my posts in advance, and you’d think that’s good, right? But no, I changed my mind time and again. Added new photos only to take them down and do it again. Not the best way to plan ahead, but one never learns. All right, that’s taking the whole thing too seriously. No harm was done — only far fewer hours of sleep and a lot of hair pulling. So, while I arrived prepared for April, with a previous Survivor Badge proudly displayed on my blog, I am just as tired as last year, if not more so. Next year, there will be NO touching the posts. There will be pre-scheduling then nothing but replying, commenting, and all-around love. What else have I learned? That benefits are based on efforts. Big time. That blogging is about openness, or what the heck is the point. That there are many bloggers who serialize their novels. On that last point — serializing may be great when a blogging relationship is in place, but as a new reader it’s hard for me to connect. Excerpts sprinkled among posts, that’s different. That gives me a chance to get to know the blogger, to connect. Isn’t that what blogging is all about? It’s a conversation we’re having. That’s another reason I like seeing a picture of the blogger — nice to see who’s at the other end of the conversation. I found A LOT of great blogs. I love blogs that share a story, a personal experience, a place. Posts that pull me close, because distant writing equals disengagement. That’s what news blogs are for. Sure, there’s only so much personality and honesty one can put into post after post. A few years and a bazillion entries can make writing one more post feel like a job. I don’t know an easy fix for that, just that life offers new stories, new ideas, new vacations, enough new experiences to FIND THE JUICE. I hope. I’m proud of my friend, Debi O’Neille for having completed the challenge brilliantly. Also, my friends Linda Covella and M. Denise C, who tell me I’ve inspired them to enter. While traveling the blogosphere, many sites (in addition to those I knew from last year) made me a fan and follower. Here are a few: Eva Marasca, Elizabeth, Martha Reynolds, fellow Romanian Veronica Sicoe, Crystal Collier, Gwynn Rogers, Anabel Marsh, Susan Koenig, Carrie-Anne Brownian … and many more. I know you’re looking for suggestions on improvements, but I don’t have any — okay, maybe one, and it’s more of an observation: too many inactive blogs on the list. One particular day I found too many had either given up or never started. Someone had asked to report them, but I would’ve had to go back, see where the first inactive blog was, make a list, and so on. That’s why I’m saying: I don’t know how you (co-hosts) do it, how you make time for everything. I couldn’t find the time or strength to go back and start a list. Sorry. Overall, April Blogging was a successful party. One I’m still recovering from. The Challenge offered an opportunity to connect with bloggers worldwide; it offered structure and within the structure the ability to roam around, be creative, and find new friends. As I sit back and look at the new followers (haven’t counted yet, but I’m sure the number exceeds my expectations), I appreciate just how much I did take away from the Challenge. It was rewarding, even educational (how awesome is that? ), and, most importantly, it was fun. 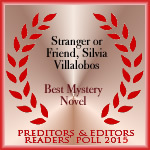 Thank you, dear blogging friends! Storytelling was a huge part of growing up in Romania. For hours we sat transfixed, listening to grandmothers frighten or amuse us with folk tales and stories with favorite characters. Zana, a fairy who resides in the woods, was one such character and a big part of the Romanian folklore. The word comes from the Roman goddess Diana, the one with all the beauty, who gives it all away. The most successful collector of such stories was novelist Ion Creanga, who in picturesque language wrote Harap Alb (The White Prince) or Fata babei şi fata moşului (The old woman’s girl and the old man’s girl). Also, poet Vasile Alecsandri, who published the ballad Miorita (The Little Ewe). And Petre Ispirescu who in the 19th century published a number of short novels from popular mythology — stories centered around characters like Făt-Frumos (the Romanian Prince Charming), the princess Ileana Cosânzeana, the monster Zmeu, the dragon Balaur or fantastic superbeings like the good Zana. Another name from Romanian mythology is Sanziana, attached not only to a fairy but a festival in the fairy’s honor. 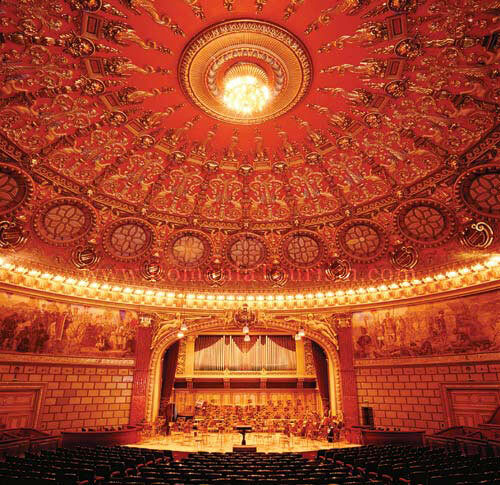 Many Romanians celebrate the Sanziene holiday on June 24. This is similar to other European Midsummer holidays and believed to be a pagan celebration of the summer solstice. 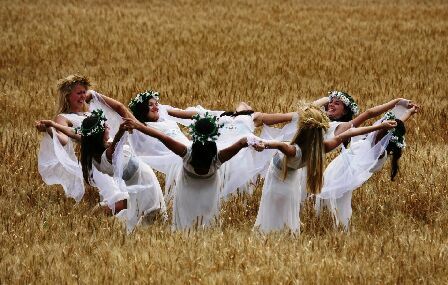 During the Sanziene festival, the maidens in the village dress in white and spend all day picking Galium verum (yellow-flowered perennial bedstraw). They dance in a circle and sing local songs. They create wreaths as crowns which they wear upon returning to the village at nightfall. People are prevented from speaking to the girls during this ceremony, as it’s said the Sanziene spirits might otherwise be angered or distracted. In some regions, the girls keep the wreaths until the following year’s ceremony. This ensures fertility for their family’s land. In addition, if they place the wreaths under their pillow at night, as the story goes, they’d have a premonition of the man they’re to marry (ursitul, the fated one). Yes, Romanian folklore is rich with tales and rituals, most retaining only a symbolic attachment to the people, many turned into written stories. 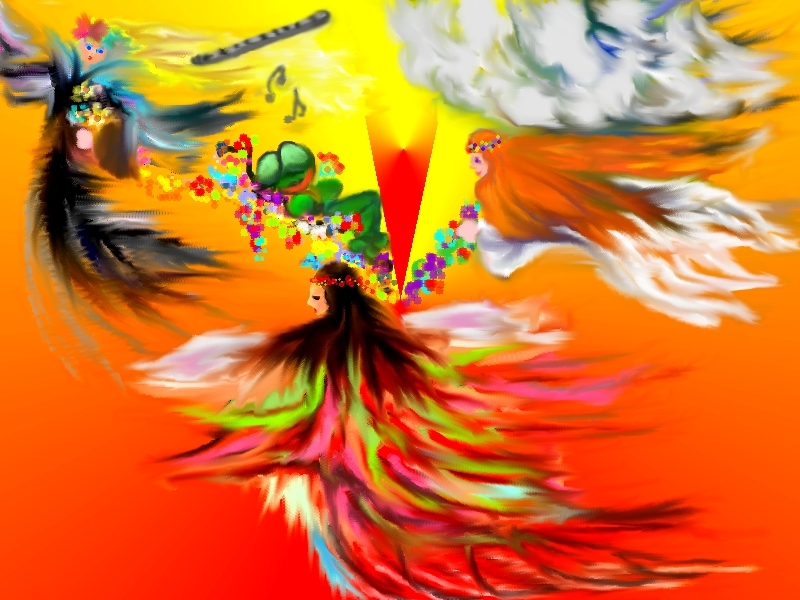 As a child, it was easy to close my eyes and see the image of Zana, and the beautiful Sanziene dancing and singing to the folk music of long ago. Well, dear friends, we’ve reached The End. Congratulations on completing a marathon of a challenge. It wasn’t easy, but here we are. Woo-hoo! I had some trepidations about a month-long posting on Romania, a country not always easy to describe, especially when there’s emotional attachment to every word. But you — all of you — have made this journey an absolute pleasure through your comments and the exquisite posts that charmed, educated, and entertained me every time I visited your blogs. Thank You! If you plan on participating in the Reflection Post, I’ll see you there. One last note: It’s been a crazy month, so if I haven’t followed you yet, I will do exactly that as soon as I can catch my breath. As we say in Romania: Noroc (Good luck) and Multumesc, prieteni (Thank you, friends). See you soon! Y is for YaY, citY life! Sure, to really see a new country one must visit the small towns, the areas forgotten by time. But that’s not to say cities don’t hold a certain appeal. They are centers of cultural influence — an amalgam of ethnicities and languages and order among chaos. For the curious tourist, they are the points of social life. In Europe, unlike the U.S., the center of a city (downtown) is the place to be — in terms of housing or anything else, with the suburbs considered far less attractive. As such, you’ll see a huge discrepancy once you leave downtown. 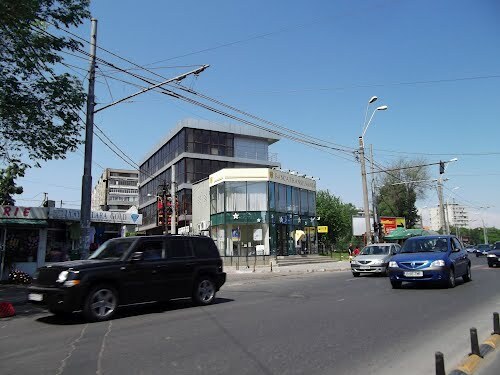 While technically still in the city, the suburb feel is more like that of a rural area — with undeveloped parcels, gray and black buildings, even unpaved roads. I don’t know how it is where you live, but in Southern California no one I know wants to live downtown. We’re a state of suburbs. But back to Europe. 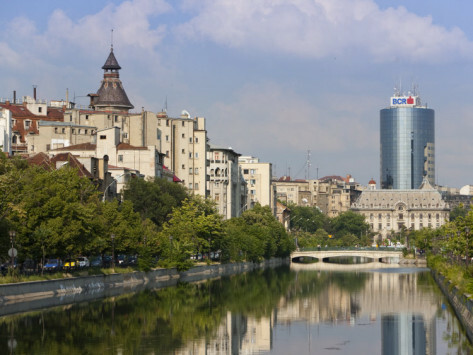 Romanian cities range from well-preserved medieval places to urban centers to a combination of the two. 1. 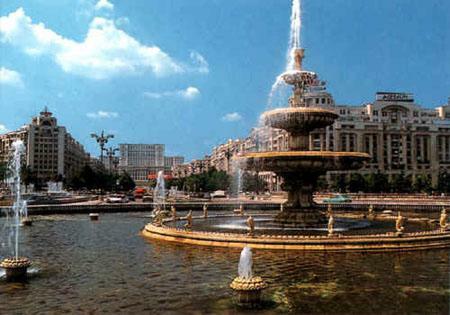 Bucharest is the largest city (capital of the country) — the cultural, financial, and industrial center. The place I called home for twenty years. 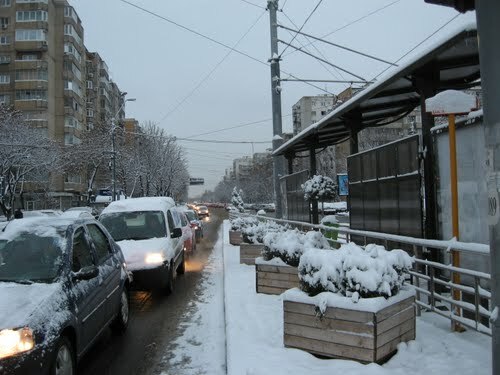 You’ll see my old neighborhood in the pictures below (starting with the winter image; yeah, we had long winters). 2. 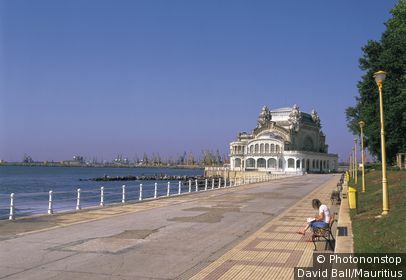 Constanta is a port on the Black Sea. A city of contrasts — ruins dating back to Roman times, an active nightlife, flourishing tourism and vacationing spot. 3. 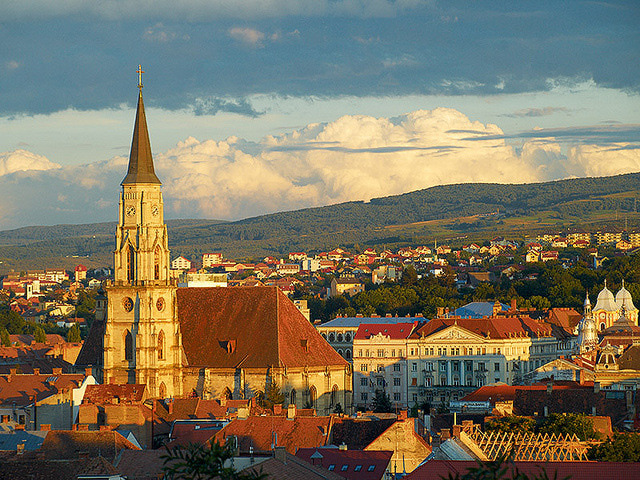 Cluj-Napoca, or Cluj, is the unofficial capital on Transylvania. It’s hard to say much more than: this is a gorgeous city. 4. 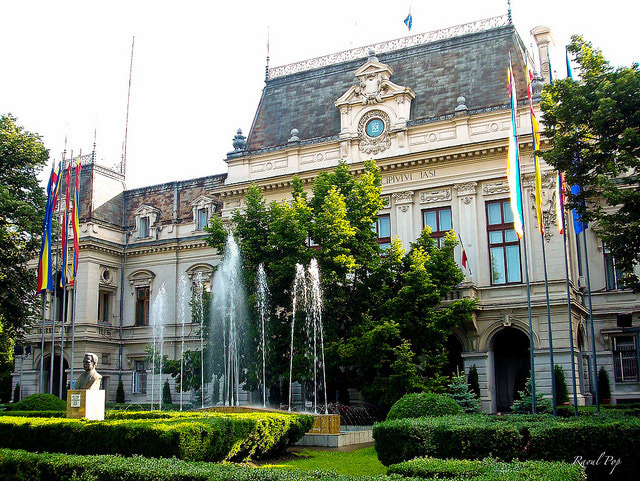 Iasi is in the region of Molvodia (east), and is one of Romania’s oldest cities. The city is famous for its history of education and a thriving publishing industry. 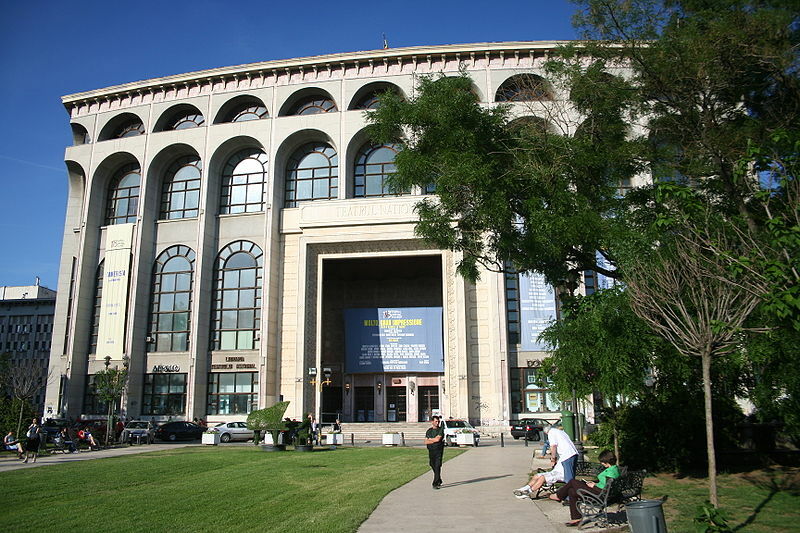 It’s also a cultural center with plenty of museums. There are many more cities — Sibiu, Sighisoara — but if I don’t stop here, I never will. Thank you for allowing me to be your guide. ~~~ One more post, dear reader, and it will be all over. While I’m looking forward to blogging on my own schedule, I will no doubt miss our daily interactions. Please, let’s keep in touch. 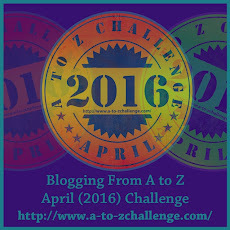 Tomorrow’s post is Z for Zana, a magical creature who is a big part of the Romanian folklore. See you at the finish line.